29% of under 17 year olds have missed out on School education or work due to not having access to sanitary products. Ormskirk School have committed to ensuring that none of their students ever miss out on their education due to being on a period. 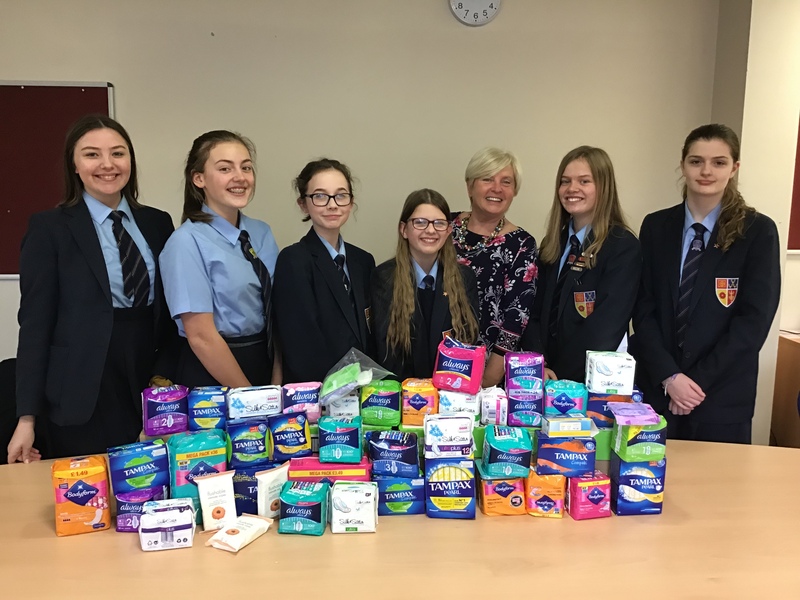 Ormskirk School is campaigning to end Period Poverty. They asked pupils to bring sanitary product donations into School on International Women’s Day. The response was fantastic. Lancashire County Councillor Nikki Hennessy asked the foundation Governors to support this campaign and they agreed to give £300 to the School. Nikki went into the School to talk with one of the acting head teachers Mrs Karen Smith & Miss Helen Jones to discuss how the School could lead on this. It was agreed that a further meeting would be set up with pupils from all years to let them decide how this could happen. The students decided that they would launch their support on International Woman’s Day and also produce a questionnaire that will be sent to all female students to gather information about how the school can support the students when on their period.